If you're rocking a Wear OS smartwatch, then it's likely you're wondering how to install apps on your watch to make it a little smarter. 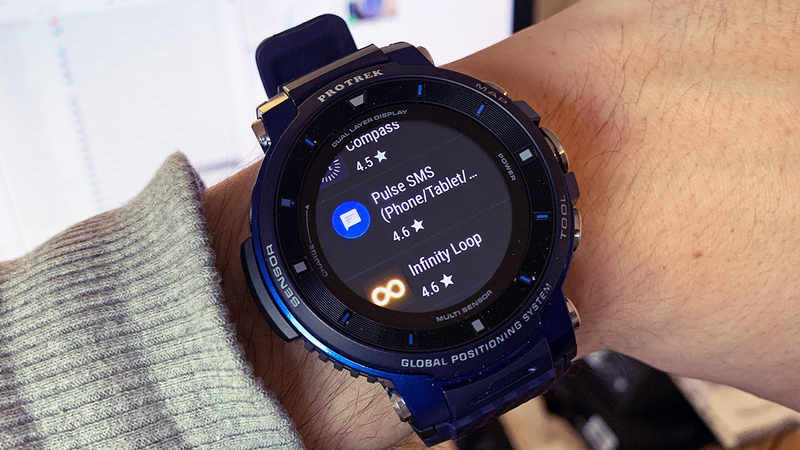 When you unbox your new smartwatch, connect it up to your phone and – hey presto – all your smartphone apps are instantly Wear OS apps too. That is to say, notifications and alerts appear on your wrist automatically, no extra configuration required. As well as getting alerts straight away, though, with Wear OS you can install apps right onto your smartwatch, for extra functions and features. This makes it much easier to get apps up and running and operate your watch without turning to your phone (and it helps when using Wear OS with an iPhone too). We should also note that when you're running Wear OS 2.0 and above, apps that are installed on your phone won't automatically install extensions on your watch – so if you want to use Google Maps on your wrist, for example, you need to install it on your smartwatch as well as your phone. That process is significantly different to the old Android Wear 1.x way of working, and if you're still on older software, jump to the end of this article for some help. So, without further ado, here's our handy guide to installing apps on your Wear watch. Got any questions? Let us know in the comments section below. If you're running the latest Wear OS 2.x software, then there are two ways to get hold of the apps you need: from the web or from your watch. Whichever you opt for, your smartwatch needs to be connected to Wi-Fi. If you haven't already sorted this during setup, tap the power button then choose Settings, Connectivity and Wi-Fi to get your watch online. Browsing for apps is certainly easier on the web, and Google has put up a dedicated Wear OS section in the Google Play Store. Click through on any app, choose to install it, and you'll notice your watch appears as a destination device, as long as the app has been updated for Wear OS 2.0 or above. If not, you'll need to send it to your phone instead. A more direct approach is to load up the Play Store on your Wear OS smartwatch and browse for apps there, though it's not quite as easy on a tiny screen. You can search for particular apps or browse through the categories or recommendations, and when you see something you like, you just need to select the app and then tap the Install button. Having apps on your phone doesn't automatically install them on your watch as well. If you go to the Play Store app, then scroll down from the front screen, you'll see a heading marked Apps on your phone: these are all the apps on your phone that have Wear OS companion apps, which you can install by tapping on any of the buttons on the right. Maybe you don't want notifications from every single app on your phone showing up on your Wear OS smartwatch. To make changes to notification settings, open up the Wear OS app, and scroll down and tap Notifications – if you then tap Change watch notifications, you can set which of the apps on your phone can and can't prompt watch notifications. If your watch is back in the old pre-Wear OS days, the old rules apply – apps must be installed on your phone first, and will then show up on your watch, as long as a Wear OS extension is included. Even apps specifically made for Wear OS must be installed to your smartphone first, from Google Play on the web or on your mobile, and then synced.